Associate Professor Idriss Blakey is a University of Queensland Vice Chancellors Teaching and Research Fellow at the Australian Institute for Bioengineering and Nanotechnology and the Centre for Advanced Imaging. His research seeks to understand relationships between the structure of materials and their performance in applications such as nanomedicine and nanofabrication. He has won over $AUD 10M funding, via ARC Discovery grants, ARC Linkage grants, Fellowships and direct industry funding. This has led to over 100 publications, > 1300 citations and 6 patents (4 licenced to the Dow Chemical Company). 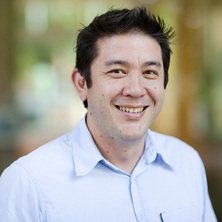 Following his PhD at Queensland University of Technology in 2001 and prior to moving to at UQ in 2003, A/Prof Blakey was a research scientist at Polymerat (Now Anteo Diagnostics) where he developed polymeric surfaces for biotechnology applications. Rational design, synthesis and self assembly of functional polymers and nanomaterials for nanofabrication, sensors and biomedical imaging agents. Block copolymers are comprised of two distinct, but covalently linked polymer chains, which under certain circumstances form structures that are on the order of nanometers. By controlling the orientation and/or morphology of block copolymer domains it is possible to use them as a nanofabrication template in a range of applications, including advanced lithography, next generation batteries, high density magnetic storage media, membranes and metamaterials. A range of projects are available that will involve synthesis and/or morphological characterisation of block copolymers to advance the field of nanofabrication. Industry collaborators for some projects may include The Dow Chemical Company. The interface of a material with its immediate environment can be crucial for its ultimate performance in a gamut of applications which include biomaterials, sensors, coatings (eg. paint) and nanofabrication. At the same time it is important for a material to have appropriate bulk properties, such as strength, durability, toughness and biodegradability, where in many cases the bulk and surface properties are incompatible or the cost is prohibitive. One approach to achieve the desired performance is to modify the surface properties of a material with appropriate bulk properties. A range of projects are available for investigating novel methods of surface modification and/or targeting novel applications. Many inorganic nanoparticles possess interesting and useful properties that differ significantly from the bulk properties. The properties can be taken advantage of in a range of applications including, sensors, catalysts, biomedical imaging agents and photonics. In many cases the nanoparticles are unstable in the conditions that are applicable to the desired application. Self assembly of nanoparticles with polymers can be used to stabilise the particles and also mediate the degree of aggregation, which can also be used to tune the properties. Projects are available in the self assembly of novel polymer-nanoparticle materials and coatings. Whittaker, Andrew K., Thurecht, Kristofer J., Blakey, Idriss and Peng, Hui (2013). Biologically-responsive polymeric F-19 MRI agents. In: Abstracts of Papers of the American Chemical Society. 245th National Spring Meeting of the American-Chemical-Society (ACS), New Orleans LA, (459-+). 07-11 April 2013. Keen, Imelda, Yu, Anguang, Cheng, Elliot, Blakey, Idriss, Leeson, Michael, Younkin, Todd and Whittaker, Andrew (2011). Controlling the morphology and orientation of PS-b-PDLA block copolymers. In: 32APS: Australasian Polymer Symposium, Coffs Harbour, NSW, Australia, (). 13-16 February 2011. Blakey, Idriss, Schiller, Tara L., Merican, Zul, Hawker, Craig J. and Fredericks, Peter M. (2009). COLL 351-Polymer stabilized aggregates of gold nanoparticles encoded with surface enhanced Raman spectroscopy molecular barcodes. In: , , (). .
Peng, Hui, Chua, Xiaoying, Chuang, Yami, Blakey, Idriss, Dargaville, Bronwin, Rasoul, Firas, Symons, Anne, Varanasi, Srini and Whittaker, Andrew K. (2009). Simultaneous swelling and degradation of crosslinked PEG-PLLA networks. In: Abstracts of Papers of the American Chemical Society. , , (). .
Peng, Hui, Blakey, Idriss, Dargaville, Bronwin, Rasoul, Firas and Whittaker, Andrew K. (2009). Effect of solvent quality on the solution properties of assemblies of amphiphilic diblock copolymers as potential F-19 MRI agents. In: National Meeting of the American Chemical Society, *, (). 2009. Peng, H., Chua, X., Blakey, I., Dargaville, B., Rasoul, F., Symons, A. L., Varanasi, S. and Whittaker, A. K. (2009). Functional PEG-PLLA networks for dental bone repair: Effect of network chemistry on properties and performance. In: 237th ACS Spring National Meeting and Exposition, Salt Lake City, UT, U.S.A., (). 22-26 March 2009. Peng, Hui, Chua, Xiaoying, Chuang, Yami, Blakey, Idriss, Dargaville, Bronwin, Rasoul, Firas, Symons, Anne, Varanasi, Srini and Whittaker, Andrew K. (2009). Simultaneous swelling and degradation of crosslinked PEG-PLLA networks. In: 238th ACS National Meeting, Washington, DC, U.S.A, (). 16-20 August 2009. Peng, H., Blakey, I., Dargaville, B., Rasoul, F., Rose, S. and Whittaker, A. K. (2009). Synthesis and evaluation of novel partly-fluorinated block copolymers as MRI imaging agents. In: Abstracts of Papers of the American Chemical Society. unknown, unknown, (). unknown. Whittaker, Andrew K., Blakey, Idriss, Thurecht, Kristofer J., Squires, Oliver and Varcoe, Kylie (2008). High pressure NMR of polymeric materials. In: 235th American Chemical Society National Meeting, New Orleans, (678-679). 6-10 April 2008 . POLY 236-Synthesis of linear and branched poly(trimethylene carbonate-co-lactide) copolymers and an investigation of chemical structure on hydrolytic degradation. Truong, V, Whittaker, AK and Blakey, I (2008). POLY 236-Synthesis of linear and branched poly(trimethylene carbonate-co-lactide) copolymers and an investigation of chemical structure on hydrolytic degradation.. In: ABSTRACTS OF PAPERS OF THE AMERICAN CHEMICAL SOCIETY. 236th National Meeting of the American-Chemical-Society, Philadelphia PA, (). AUG 17-21, 2008. Whittaker, AK, Blakey, I, Thurecht, KJ, Squires, O and Varcoe, K (2008). POLY 624-High pressure NMR of polymeric materials. In: ABSTRACTS OF PAPERS OF THE AMERICAN CHEMICAL SOCIETY. 235th American-Chemical-Society National Meeting, New Orleans LA, (). APR 06-10, 2008. Yu, Anguang, Blinco, James, Blakey, Idriss, Younkin, Todd, Leeson, Michael and Whittaker, Andrew (2008). Synthesis of polycarbonates for EUV lithography. In: 30APS : Abstract book. 30th Australasian Polymer Symposium (30APS), Melbourne, Vic., Australia, (). 30 November - 4 December, 2008. Liu, Heping, Blakey, Idriss, Chen, Lan, Conley, Will, Dargaville, Bronwin, George, Graeme A., Hill, David J.T., Rasoul, Firas, Rice, Bryan, Whittaker, Andrew K. and Zimmerman, Paul (2007). From Structure Property Relationship to Molecular Design. In: Proceedings of the 29th Australasian Polymer Symposium. 29th Australasian Polymer Symposium, Hobart, (105-106). 11-15 February 2007. Dargaville, Bronwin, Blakey, Idriss, Chen, Lan, Conley, Will, George, Graeme A., Hill, David J.T., Liu, Heping, Rasoul, Firas, Rice, Bryan, Whittaker, Andrew K. and Zimmerman, Paul (2007). Synthesis and Characterisation of Sulfur-Containing Polymers as Photo-Resist Materials for 193 nm Immersion Lithography. In: Proceedings of the 29th Australasian Polymer Symposium. 29th Australasian Polymer Symposium, Hobart, Tasmania, (371-372). 11-15 February 2007. Chen, Lan, Blakey, Idriss, Conley, Will, Dargaville, Bronwin, George, Graeme A., Hill, David J.T., Lui, Heping, Rasoul, Firas, Rice, Bryan, Whittaker, Andrew K. and Zimmerman, Paul (2007). Synthesis of Novel Polymer Resists for 193nm Immersion Lithography. In: Proceedings of the 29th Australasian Polymer Symposium. 29th Australasian Polymer Symposium, Hobart, (148-149). 11-15 February, 2007. Baldwin, Katie, Blakey, Idriss, Talbot, Cavin, Wang, Deming, Friese, Marlies and Whittaker, Andrew K. (2007). The conformation of polymer molecules studied by Hyper-polarised 129Xenon NMR. In: 29th Australasian Polymer Symposium. 29th Australasian Polymer Symposium, Hobart, Tasmania, (). 11-15 February, 2007. Baldwin, K., Bell, C. A., Blakey, I., Friese, M., Gentle, I., Schiller, T. L., Talbot, C. and Whittaker, A. (2006). SANS of four-layer polyelectroyte nanoparticles assembled using layer-by-layer deposition. In: Australian Polymer Symposium (APS), Rotorua, New Zealand, (). 5-9 February 2006. Modeling, experimental evidence, and practical consequences of the infectious spreading of oxidative degradation in polymers. George, G, Blakey, I, Goss, B and Grigg, M (2001). Modeling, experimental evidence, and practical consequences of the infectious spreading of oxidative degradation in polymers.. In: Abstracts of Papers of the American Chemical Society. , , (U351-U351). .
Whittaker, A. K., Peng, H., Thurecht, K. J. and Blakey, I. (2012). Nuclear magnetic resonance agent. 2012-AU415 2012142670.